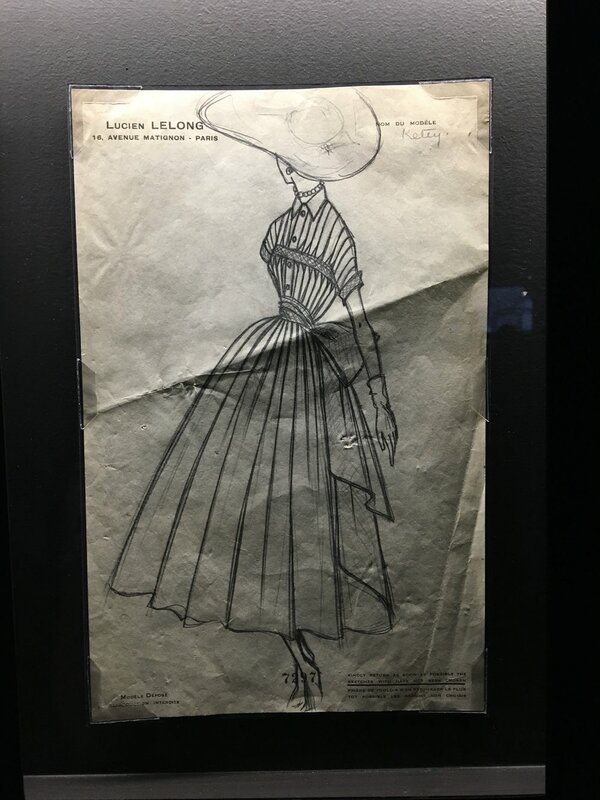 Sketch by Christian Dior for Lucien Lelong, c. 1942. 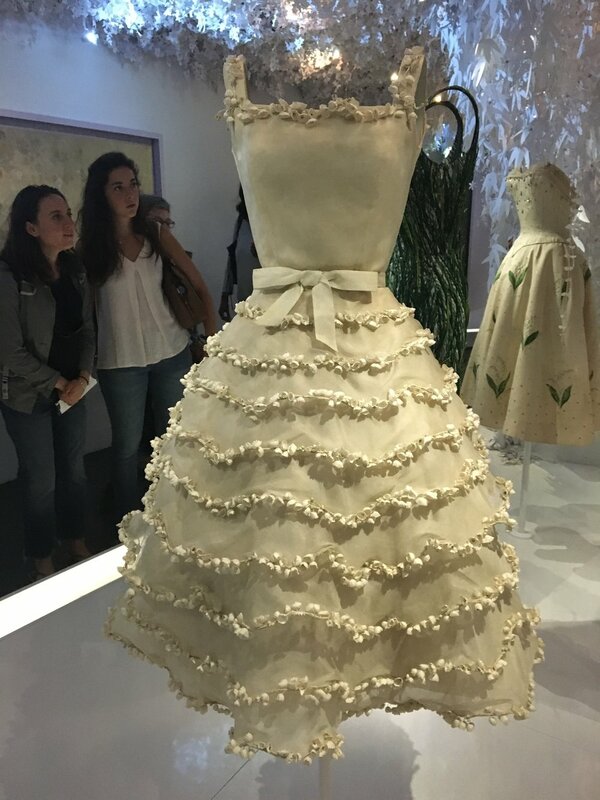 “Designer of Dreams” (“couturier du rêve”), the title of the new Christian Dior retrospective in Paris trumpets—reflecting the central place the ‘Dior’ name has taken in many woman’s fantasies since his debut in 1947. 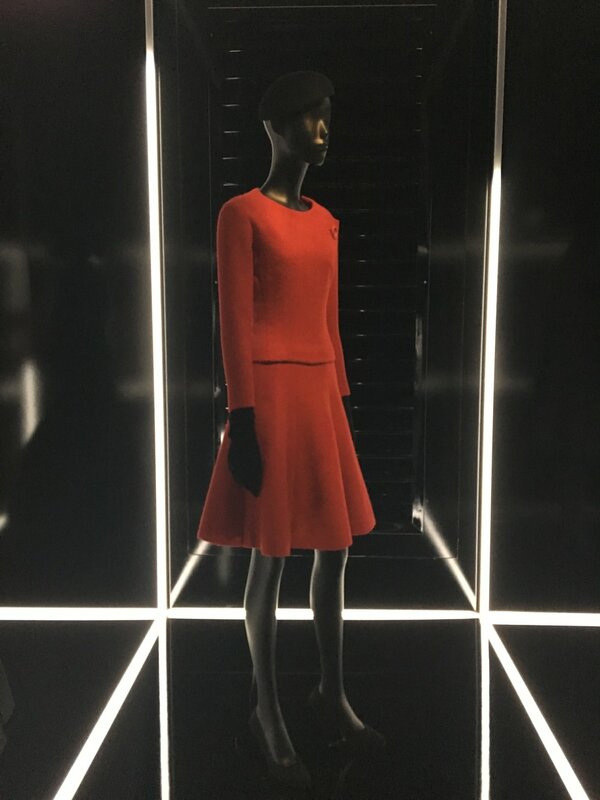 As the largest Dior retrospective ever staged, the exhibition encompasses almost all sectors of the museum—a staggering 32,000 square feet with over 300 mannequins. 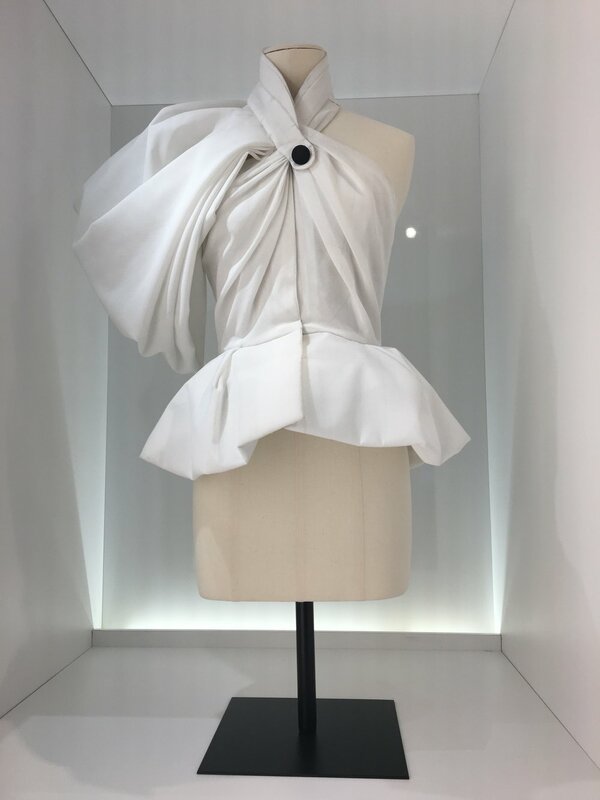 The “unforced femininity” that Vogue described in their review of Dior’s first collection is the central anchoring point to a sprawling show that covers the work of the seven head couturiers over the last seventy years (menswear is not featured). 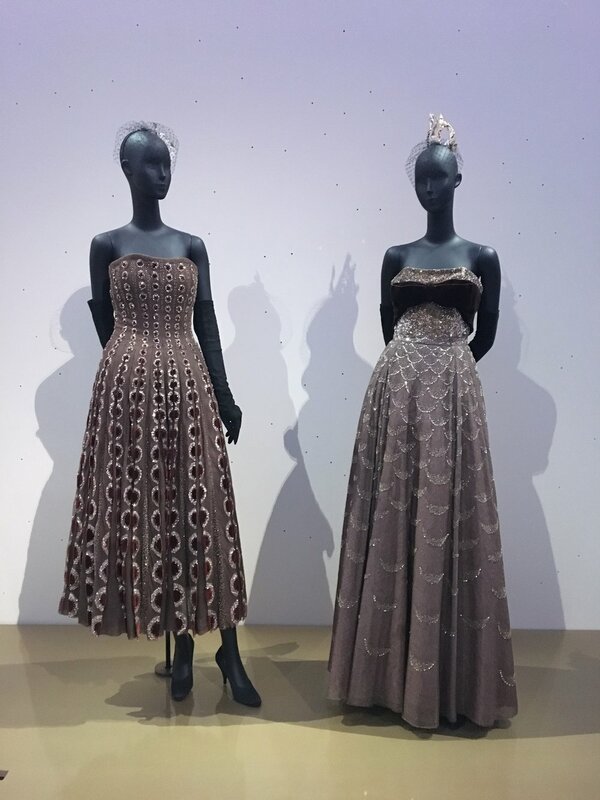 Following both a chronological and thematic layout, the retrospective delves into Christian Dior’s life, career and influences, and how these have all acted as continuing and multi-layered inspiration for the house and the designers that followed him. 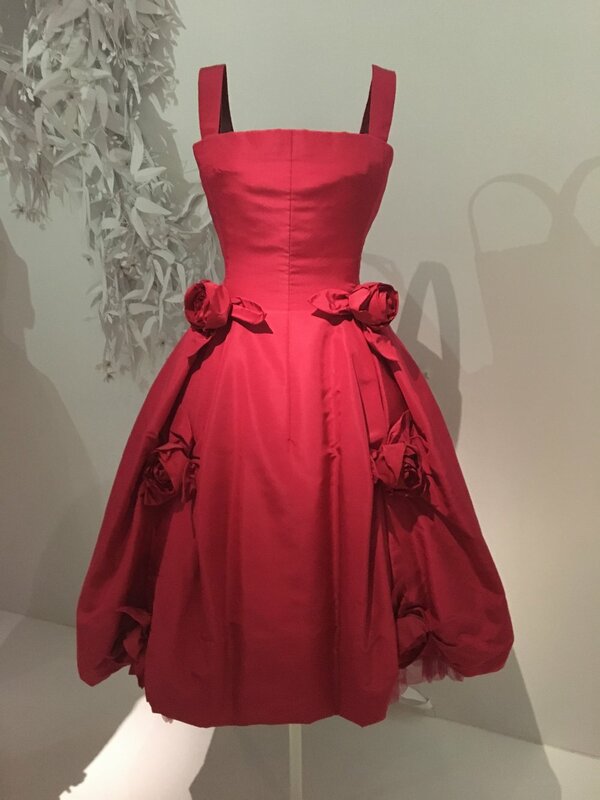 Due to Dior’s personal interest in history and art, this exhibition is truly an exploration of the history of art through fashion—the cultural motifs that captivated Christian Dior have become enmeshed in the house DNA and reappear across the seventy years of garments. 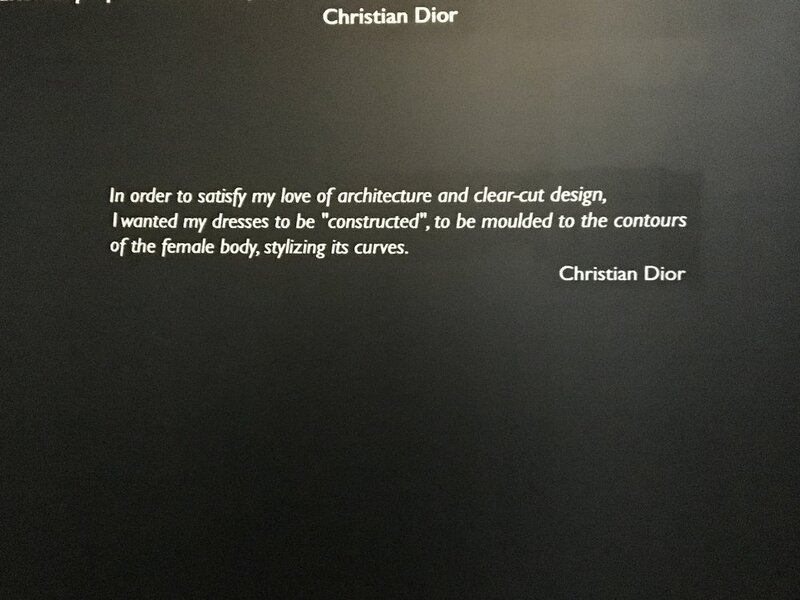 The curators, Florence Müller and Olivier Gabet, reiterate throughout the exhibition the importance of the tropes set by Christian Dior in the decade he had his house and how they have been reflected in the visions of the six subsequent head designers. Within such a massive exhibition, the organization at times feels a little disconnected—jumping from his years as a gallerist to a room of important fashion photographs of Dior garments from the 1940s and 50s, and then to an undulating corridor arranged in a rainbow palette of everything Dior labeled, from shoes (like those by Roger Vivier) to nail varnish. Over 700 objects are included in this 'Colorama' room. 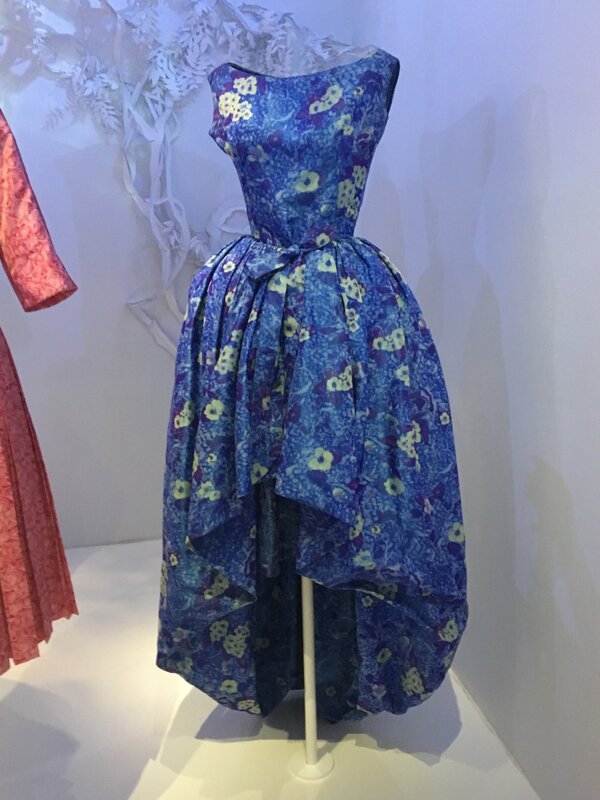 It is an exhaustive trawl through Christian Dior’s legacy as both a master couturier and a master merchandiser—the first fashion designer to truly exploit the power of licensing. Descending next to a wall of magazine covers, the exhibition moves on a series of thematic rooms that touch on key signatures of the house of Dior—starting with Paris (illustrated by a rather wonder Eiffel Tower 1980s fur coat). 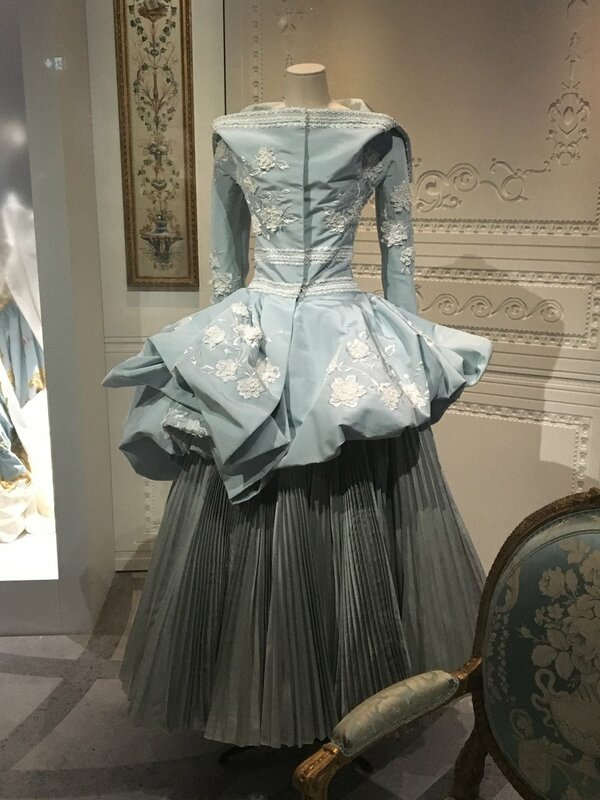 As historicism and revivalism was so central to Christian Dior’s design aesthetic, several rooms highlight this influence before moving on to the effect of other cultures (a somewhat gray area with no discussion of the cultural appropriation seen particularly in John Galliano’s work). Dior's passion for gardening is reflected in a series of floral tableaux set against the design group Wanda Barcelona's installation of 40,000 paper flowers (including 4,500 roses, 4,500 clematises, 1,400 lilies of the valley, and 700 wisteria vines), all based on creeping and climbing plants found in his own garden. Though the flow from room to room is at times incongruous, each individually is a delight of beauty. 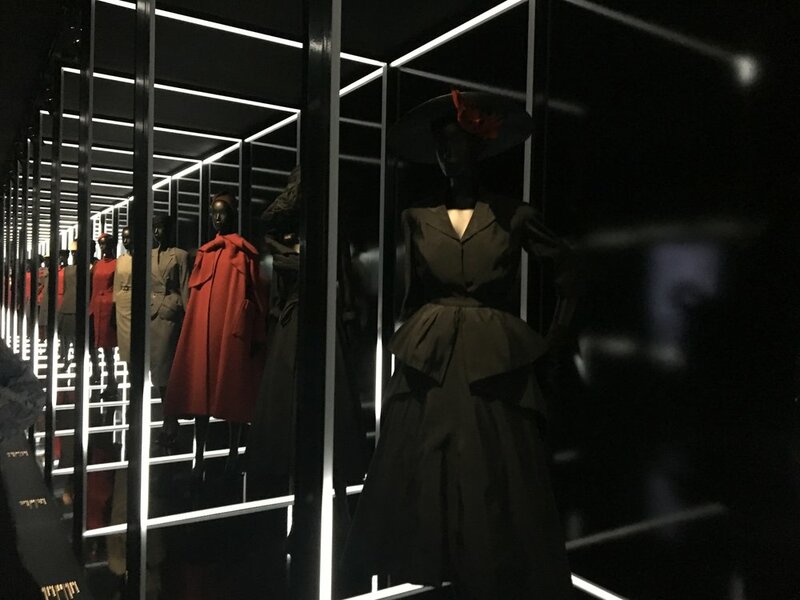 A long hallway is given over to individual rooms for each of Dior’s successors: Yves Saint Laurent, Marc Bohan, Gianfranco Ferré, John Galliano, Raf Simons, and Maria Grazia Chiuri. Though an effective way of laying out the chronology of the house, it emphasizes each designer equally and negates the very different careers they had at Dior—to have Raf Simon’s three years and Chiuri’s single collection given the same weight as Marc Bohan’s 30 years as head designer feels like pandering and an affront to the actual history of the house. A towering white room lined with all-white toiles from all of the designers is a palette-cleanser that emphasizes the exquisite beauty of a very well-designed and well-tailored garment—these simple muslin mock-ups are a key reminder of the work and talent (from designer to pattern-cutter and sewer) that goes into couture. A final spectacular setup is the museum's nave projected to replicate Versailles’ Galerie des Glaces, the setting of several Dior campaigns starring Charlize Theron. 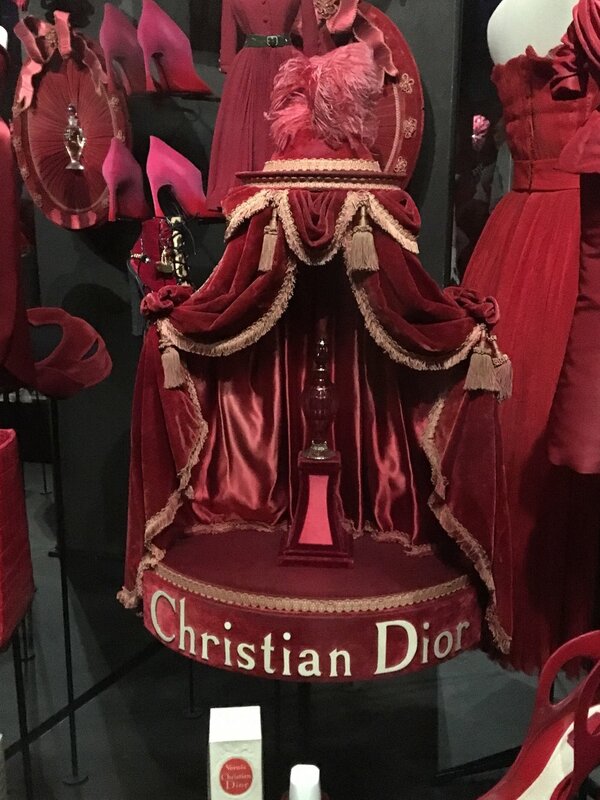 Three of her Dior ad gowns are there alongside a towering pyramid of mannequins on one wall, while two central platforms culminate in ‘Venus’ and ‘Junon’, Christian Dior’s most iconic ball gowns. Encased in glass, these strapless sequined gowns are worth the price of admission alone yet are partially hidden by the stunning couture dresses that surround them—a lucky problem for the curators in having more than enough spectacular items to include though at times it makes it difficult to focus on the details of each piece. 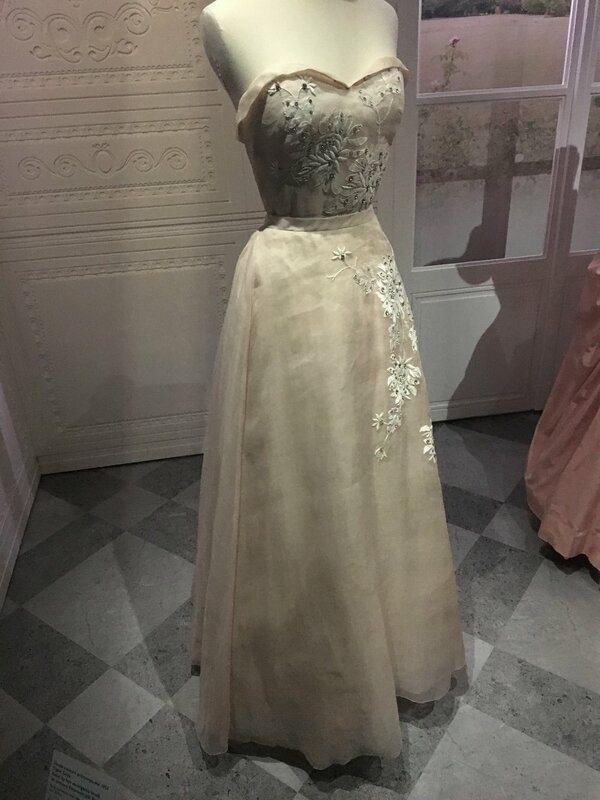 At the far end of the hall is a display of gowns worn by celebrities and actresses—both on the red carpet and as costumes in films (Dior designed for several movies)—including the infamous John Galliano slip-dress Princess Diana wore to Dior’s 50th anniversary in 1996. If you are in Paris (or anywhere close by) between now and January, I highly recommend visiting the retrospective—and buy tickets in advance so you do not have to stand in line on the Rue de Rivoli for hours. For all its 32,000 square feet, the exhibition is still overcrowded and difficult to move through. With huge lines outside at all times it is understandable why it is so busy, but the museum does need to regulate the inflow of people better. The heat and humidity in some rooms had me panicking over the effect on the clothes, many of which were not protected by glass. 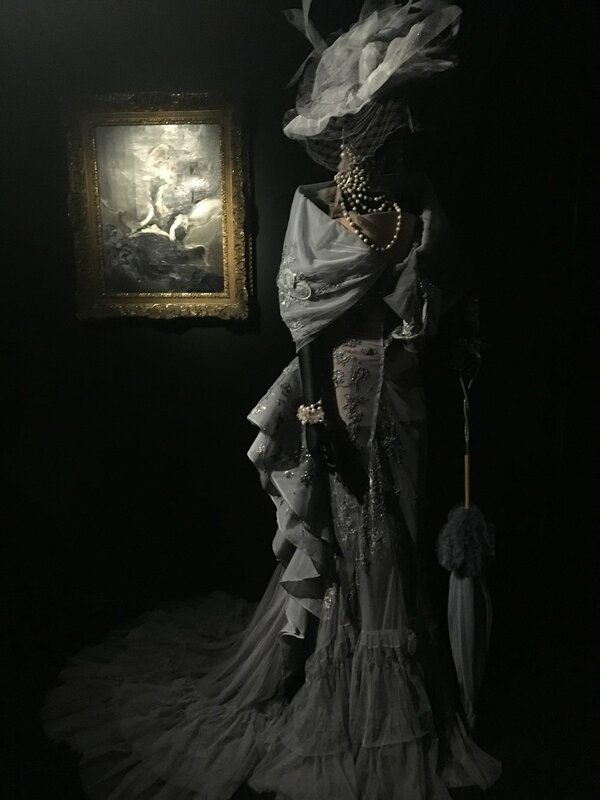 The photos in the slideshow above (except for four professional ones) were all taken with my iPhone—low quality but they provide a little glimpse of the sumptuous items on view. Low light in several rooms prevented me from getting any good photographs of black ensembles. While I found the layout a trifle disjointed and the final room overly cluttered, the clothes are incredibly beautiful. It would be hard for any woman not to find at least a few pieces they covet, regardless their style.